← Key lessons from MBA – Sell Tesla stock!?! One of my courses at HBS this year is called Competing with Social Networks. I took this course because I frankly don’t know all that much about social media. I check my Facebook account once a month, I have an occasional look on Yelp before booking a restaurant and while I have heard about the newer tools such as Instagram and Vine I have never used them. I realize that my limited use of social media is not quite the norm at HBS. But with businesses from all over the world making tons of money through the use of social media, I figured it wouldn’t hurt to get some understanding of what social media are really all about. Hence my decision to enroll in this class. 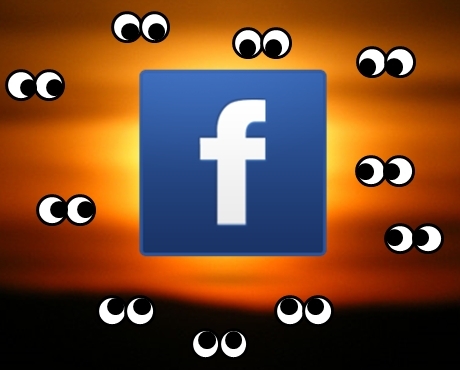 I meanwhile learned some interesting stuff, for example that much of Facebook’s initial success could be allocated to the fact that it allows for people to secretively stalk on one another. Crazy no? But this class is not only increasing my knowledge on social media and social strategies though case studies – it also forces me to use social media myself. To graduate for this course, I have to become an expert in some of the social media tools. I can choose from options such as becoming an elite contributor on Yelp, or to become famous on Youtube and sell over $500 of merchandise that way, or even practicing to become a social game specialist. I choose for the first option and am currently trying hard to get my Yelp elite status! 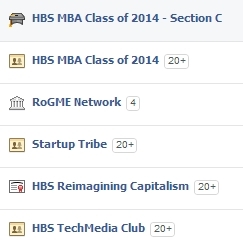 I am far from being the only HBS student that is using social media. The vast majority of students are on Facebook – for socializing but also for planning and communicating on events, section activities AND even to share class content and discussions. Then there is the use of Tumblr for more entertaining snapshots of life at HBS (find the WhatShouldWeCallHBS Tumblr link HERE with some of my favorite posts HERE and HERE). Other popular social media are GroupMe, WhatsApp, Instagram and LinkedIn. And with the HBS campus being located far away from the places to go in Boston, taxi-apps such as Uber and Lyft are on a roll as well. Youtube is the favorite destination for those fun ‘last-class-of-the-semester’ sessions. Find my favorites HERE (notice the big panda in the room) and HERE (as from 45 seconds in). Of course, social media are very present on other schools as well. Students from that big other school across the river called MIT use social media to reflect what is really going on over there – find an ode to the sleeping MIT students HERE. Thank you for sharing the joy Tumblr! This entry was posted in The HBS experience and tagged facebook, facebook stalker, final class, Groupme, hbs facebook, Linkedin, Lyft, MBA blog, MBA student, MIT, section, sleeping MIT students, social media, Tumblr, Uber, Whatsapp, yelp, Youtube. Bookmark the permalink.